An American Genre Film Archive Ottawa Premiere on Thursday May 23rd – One Night Only! Fantastic Fest: Best Director, and Audience Award winner! 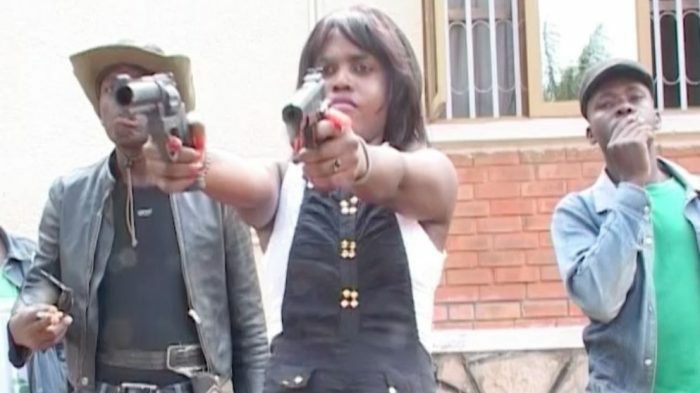 Welcome to Wakaliwood, Uganda: home of Uganda Action Cinema, “DA BEST OF DA BEST MOVIES!” and the vanguards of DIY commando cinema. Under the guidance of writer/producer/director Nabwana Isaac Godfrey Geoffrey (IGG) and with producer/star Alan Ssali Hofmanis, this crack crew of self-taught filmmakers and martial arts aficionados produce dozens of gonzo action films in the Kampala ghetto with budgets that rarely exceed $200 USD. Utilizing scrap parts to build computers, machine guns and a full-sized Huey helicopter, these real-life superheroes inspire more heart, imagination and soul than a thousand Hollywood blockbusters.